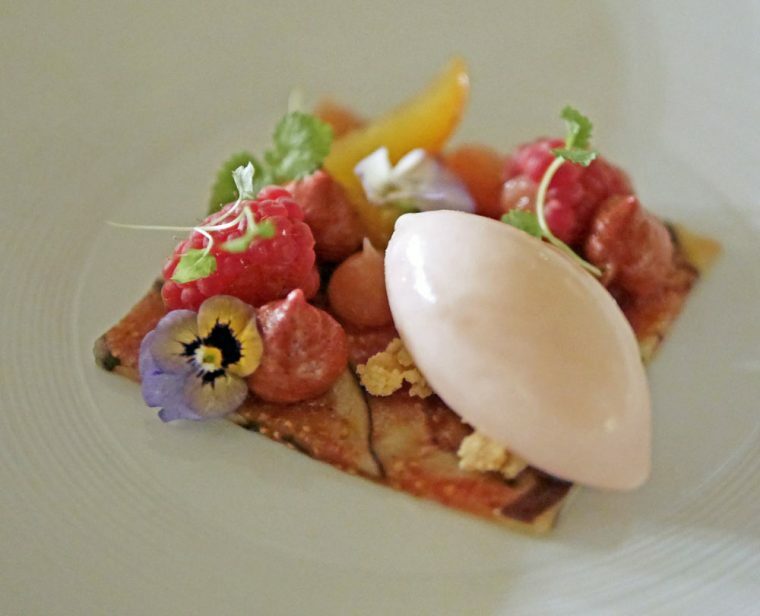 My first ever visit to Jersey included a trip to Ormer, Shaun Rankin’s Michelin Starred Restaurant in St Helier. 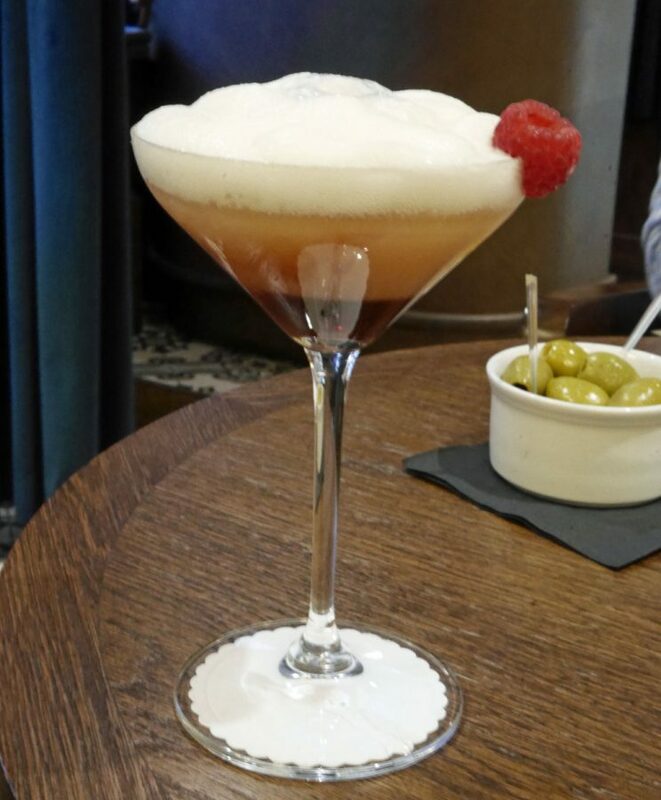 Almost concurrently, Ormer Mayfair launched in Fleming’s Hotel – and so, when I got back to my hotel, I found that various friends had been tweeting and instagramming what looked like identical dishes. I was confused. I hadn’t seen them in the restaurant that I’d been in. Then, I read the posts – they were at the soft launch in London, and yes there WAS an overlap in dishes. 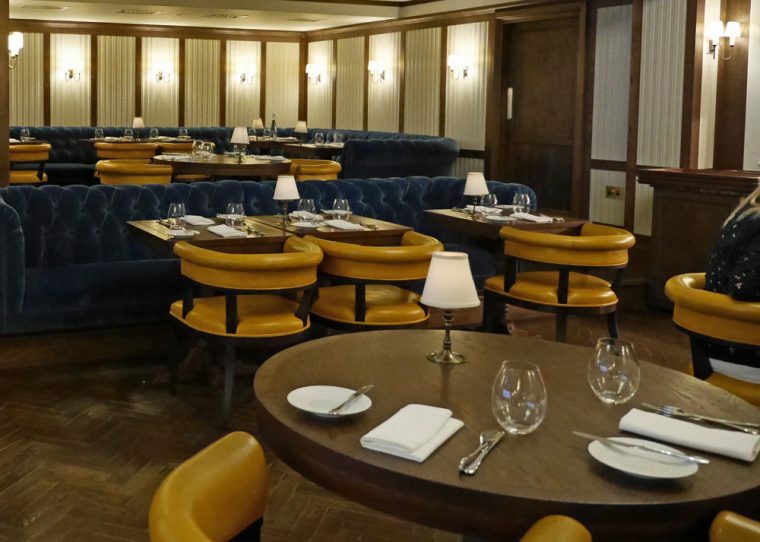 When I returned to London, I went along to see the new Ormer for myself and then spent weeks deliberating about which restaurant I should profile first. 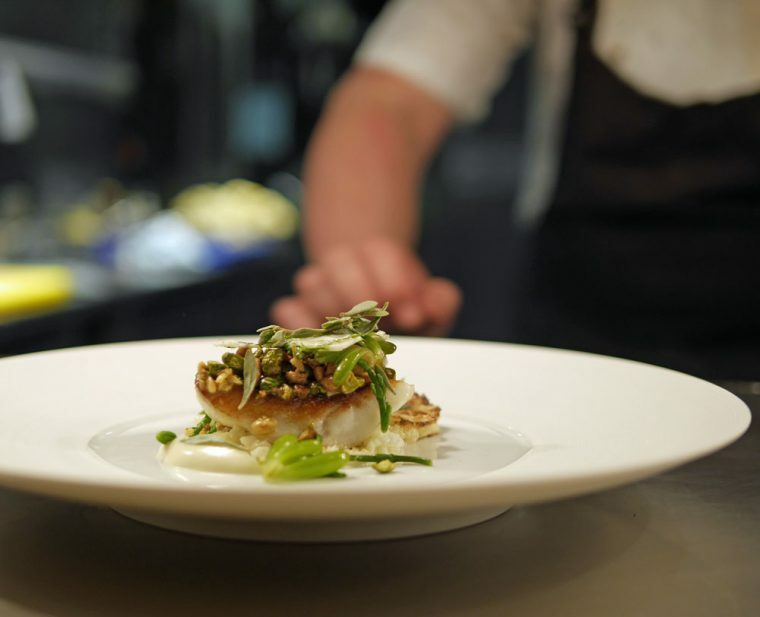 Ormer in Fleming’s Hotel is in the heart of Mayfair. It’s a cosy yet luxurious space on the lower ground floor of the impressive red brick hotel. 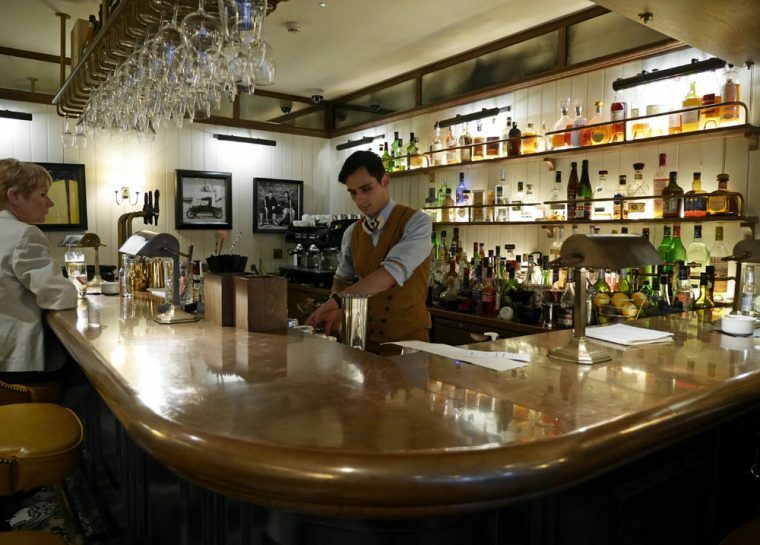 The Jersey restaurant is equally chic inside but has more of a retro 1940s feel with the bar staff and waiters wearing vintage styled outfits. And, the location is off a rambling side street in what might have been a seaside cafe at some point before the rather stunning refit to create the 50 cover restaurant. 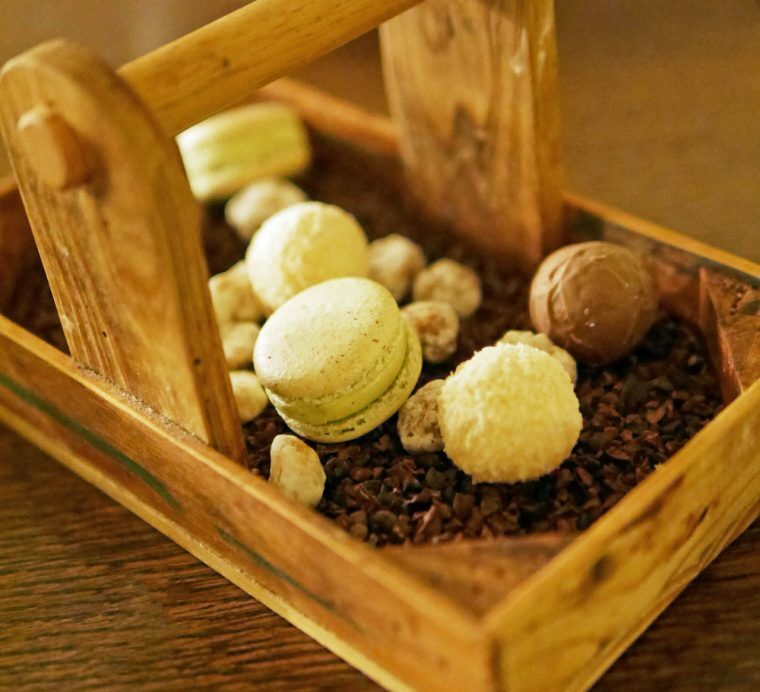 In the end, partly to avoid having to decide what to order, we picked the tasting menu. And, I applaud the restaurant for that, there wasn’t a single dish that failed for me. 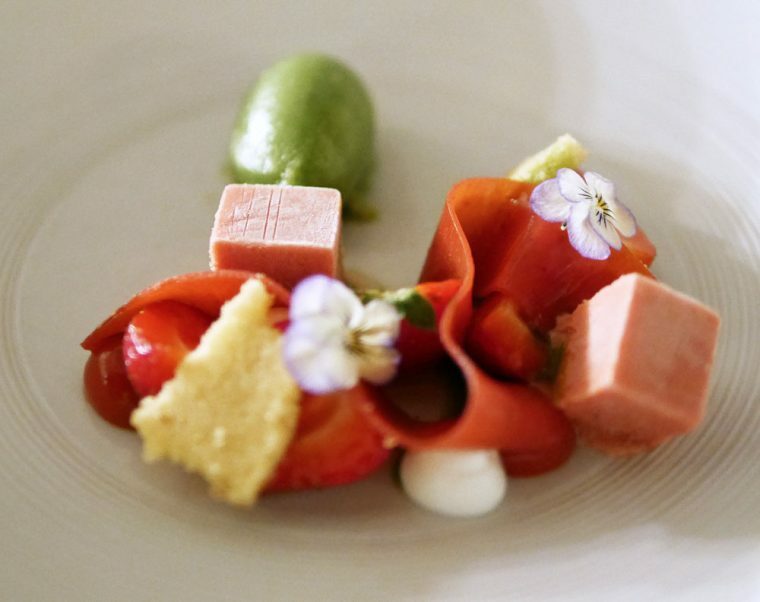 That the order was immaculate, with flavours and textures following in a way that meant the meal flowed. And that, despite not feeling at all stuffy or formal, the service was immaculate and considered. Obviously I now needto go back, just to see if it can be as good the next time. 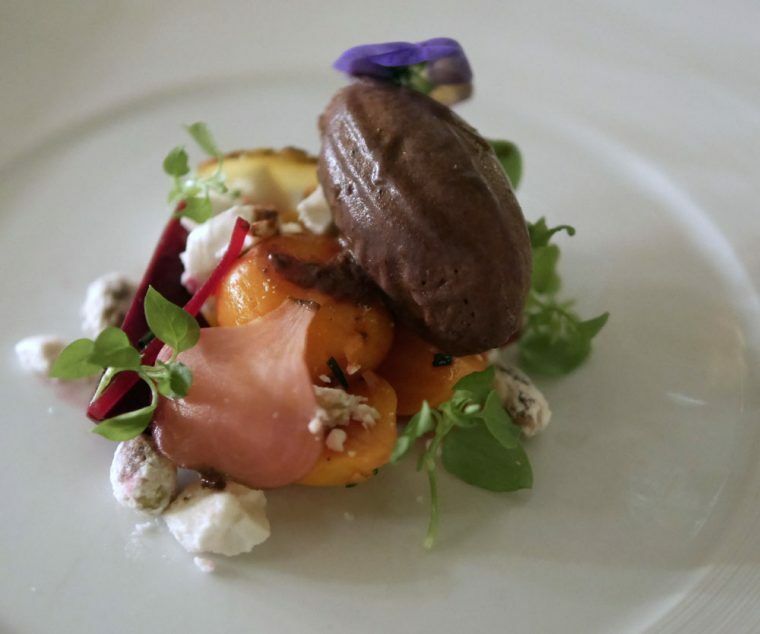 Our meal started with a heritage beetroot salad, with goats cheese, truffle honey and a black olive sorbet that was almost chocolatey. Paired with an earthy red, 2015 Lagrein Alois Lageder from South Tyrol Italy it was a great way to start the meal. 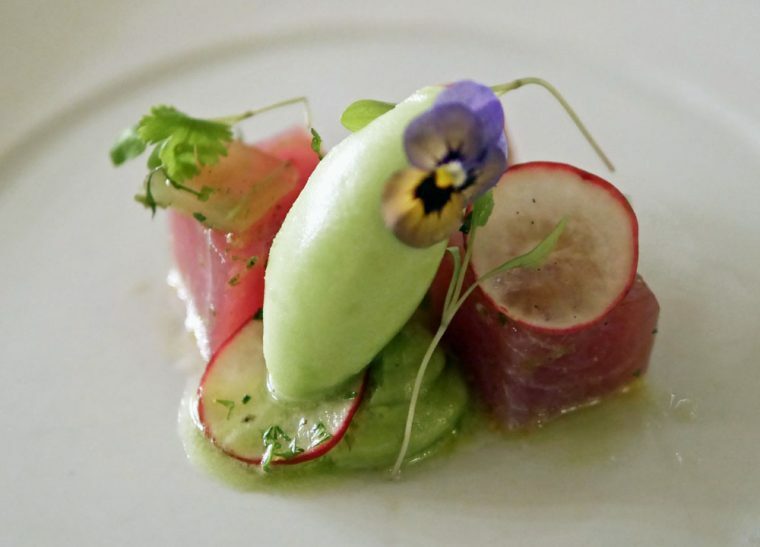 Tuna was served raw, with a frozen cucumber sorbet, avocado puree and with tiny morsels of a Bloody Mary Jelly. Another picture perfect dish. 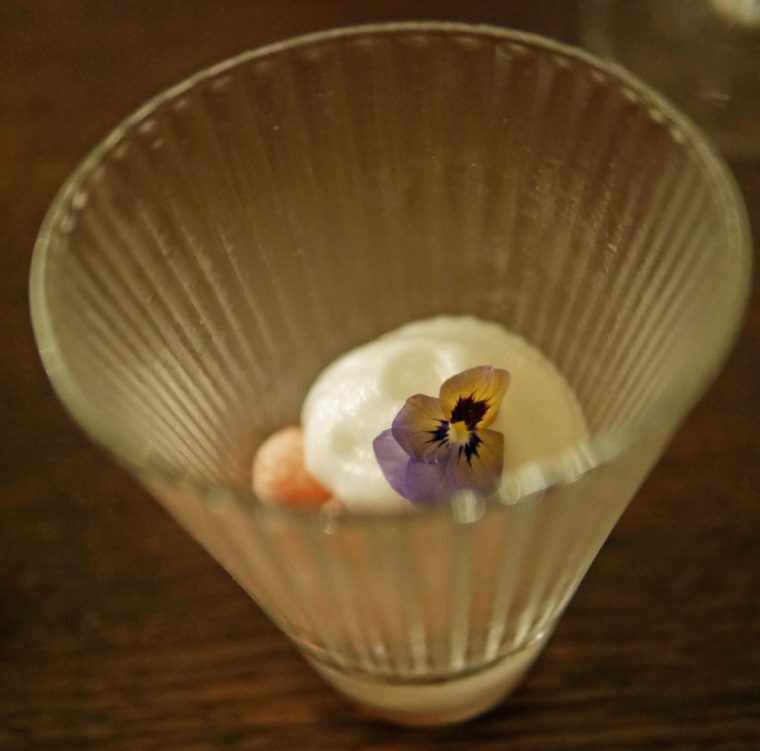 A fresh Gewurztraminer, Domaine Trimbach, 2013 was served with this pretty dish. 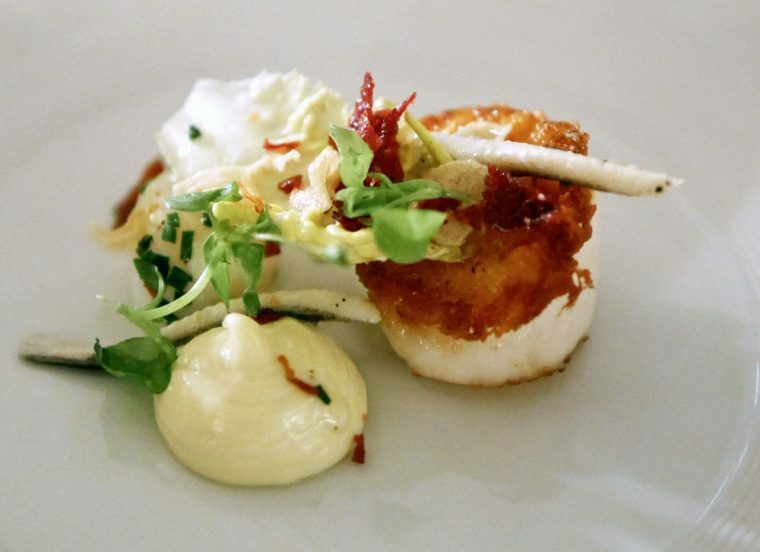 I’m always happy when I’m served scallops – even if, as in this case, there’s a tiny poached quail egg. I loved the Parmesan crisp, pancetta and the garlicy anchovy cream too. The wine paired with this was a white Rioja, Bodegas Muga 2014. The wine served here, 2013 St-Aubin 1er Cru, Les Champlots, Domaine Jean-Claude, was a particularly fine white Chardonnay from Burgundy, buttery and complex. The perfect pairing. You might imagine, gentle reader, that by this stage we’d be flagging. But, the food was served in small tasting size portions and well spaced out. 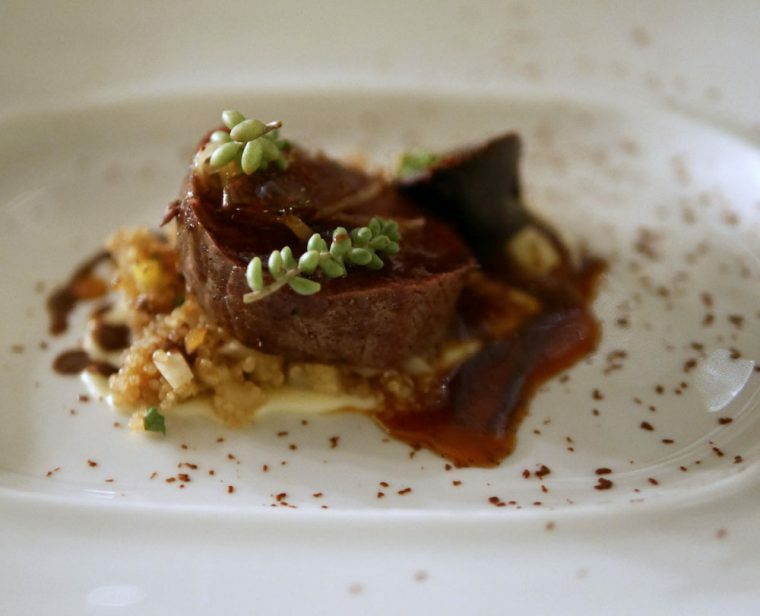 Our only meat dish followed; Venison with parsnip puree, quinoa, medjool date, ginger and a smoked chocolate tortellini. Actually, this picture doesn’t do the dish justice – it was a beautifully pink slice of venison loin, meltingly tender and served on a flavour packed bed of parsnip and quinoa. 2010 Montepulciano d’Aburzzo Alta Quota, Gran Sasso was a rich, tannin filled wine that worked well to complement the earthy meat. Our cheese course was an unexpected delight. 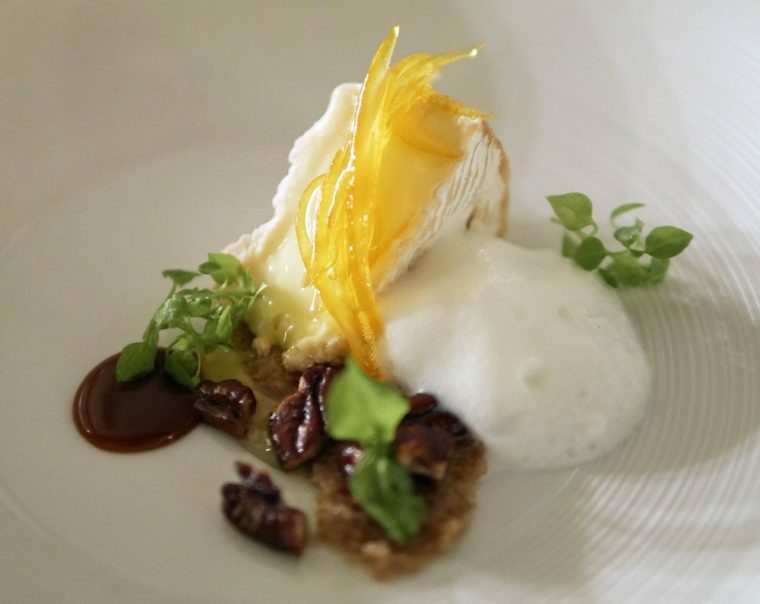 No lumps of not quite ripe cheese on a slate board here…the melting camembert was served with orange marmalade, pecan nuts, milk foam and a tiny mouthful of salted caramel. To pair, a 2008 Neiport dry white port. Then, a palate cleansing peach granita and champagne sorbet followed, paired with NV Devaux D Rose, Bar Sur Seine before we moved on to dessert. Pairing here was a glass of Devaux rose champagne which I think was intended for the strawberry dish and one of 2010 Tokaj Classic Aszu 5 Puttonyos, from Hungary. Coffee and petits fours followed, though even I was beginning to doubt my ability to eat again. And we rolled out of the restaurant into a taxi. 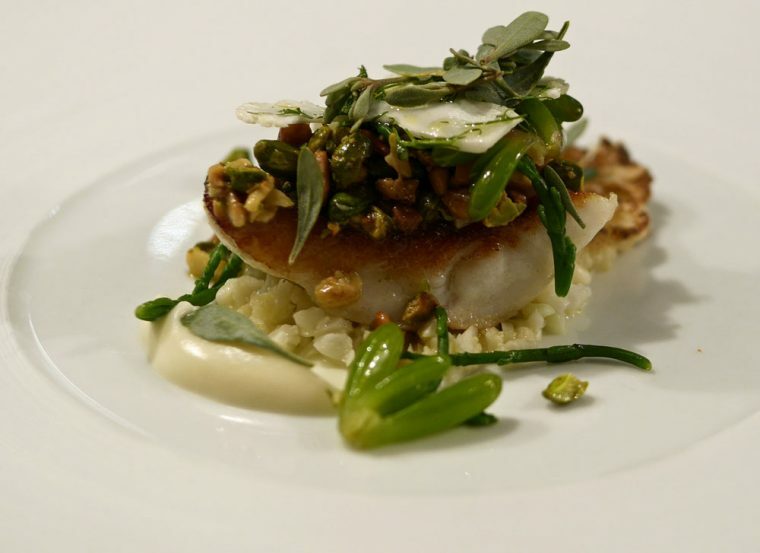 Now, on a like for like basis, while the dishes were almost the same, I thought Ormer Jersey had the edge. It could be just that, as my first experience of Shaun Rankin’s food, I was in a honeymoon phase. But, for me, it was the balance of detail and restraint that made this meal so special. 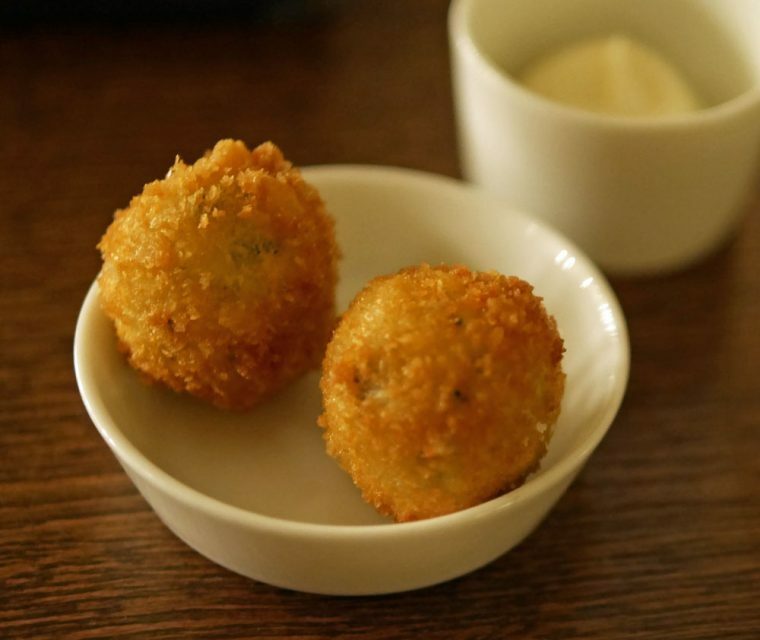 If you are in Jersey, I urge you to try for yourself – though next, I’ll be writing a summary of where to eat and stay in Jersey – it really is a tiny island with a lot of fabulous things to explore. I loved Ormer in Jersey, especially the lobster ravioli. We had the tasting menu, which doesn’t include the lobster ravioli. But, the lobster ravioli was my favourite dish on the Ormer Mayfair menu!